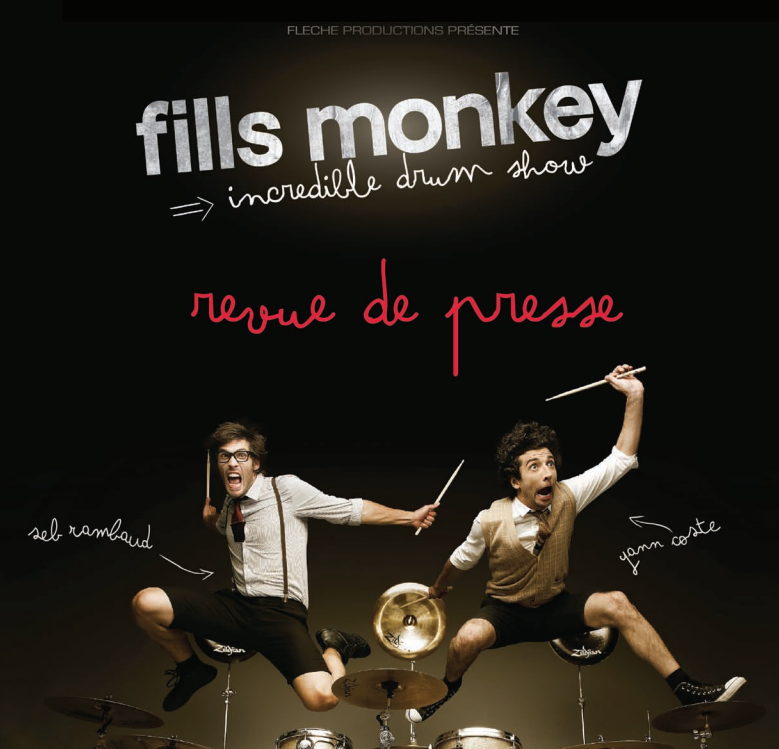 Yann Coste and Sébastien Rambaud first met in 2005, at a cymbal supplier’s demo. They hit it off and sought to work as a team. As true professional drummers, they weren’t frightened by technique, yet they both had the desire to go beyond simple drum demonstrations and to take on a more whimsical approach to such exercises, which they judged to be often too serious. That was the starting point that led them over time and occasions to create real performances that present their two personalities. They were soon to go beyond the “showy” aspect to make more and more room for humor! From fall 2011, they performed at the Sentier des Halles in Paris. Through word of mouth and Internet, audiences passed on their discovery of their unique performance: THE INCREDIBLE DRUM SHOW WAS BORN! On February 2012, a performance for the press was held to announce an extended run: the media loved it! This adventure ended on June 25, 2013 as the longest-running show ever in that theater. Six months later, they ended 2013 playing sold-out performances at the Trianon. In July 2012 they were in Montreal for Zoofest (part of the Just for Laughs comedy festival). Within a week they become the revelation of the festival! In 2012/2013 they made their first appearances in Belgium, performing in Brussels, Liège and Charleroi. In 2013 they had their first steps in Switzerland at the Montreux and Morges festivals.